The sun is setting on the Mk3 Skoda Octavia, which debuted six years ago in Mlada Boleslav, Czech Republic. The fourth generation is in the works and likely to break cover in the second half of 2019. Road testing of the next-gen Skoda Octavia's early prototypes commenced in mid-2018. 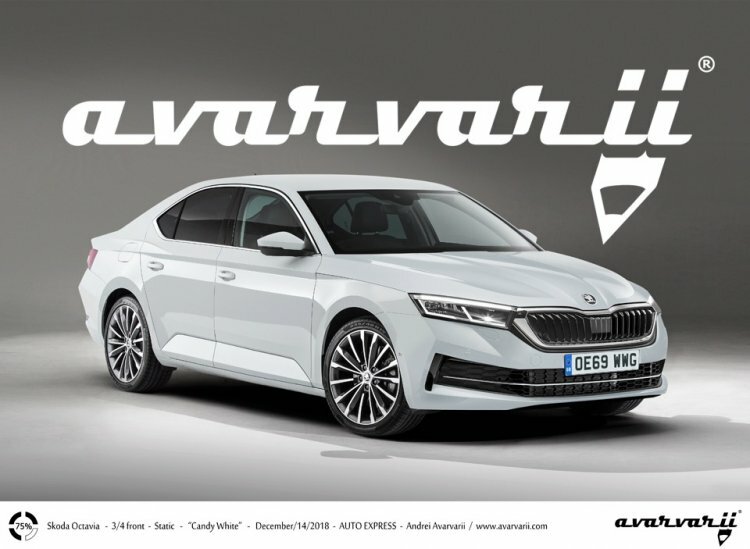 The 2020 Skoda Octavia hasn’t made an appearance in its production body so far, but specialist future model illustrator Andrei Avarvarii has already worked on a rendering to get the ball rolling on the design speculation. The C-segment sedan goes back to single lens headlamps with the full model change. The new headlamps, however, are bifurcated in a split-style appearance, and they have a low-profile. This results in a quite a bold design statement at the front. Another noticeable change in the front fascia is the slimmer radiator grille that despite being more compact emphasises the width of the car. The sides remain unchanged, while at the rear, the razor-sharp tail lights inspired by those of the Skoda Scala and the more athletic bumper further enhance the sportiness of what’s otherwise an elegant looking car from the sides. Expect marked improvements on the inside with a stronger emphasis on making the cabin more minimalist and luxurious. Moving to the engine range, expect the 1.0-litre TSI three-cylinder petrol engine as the entry-level option, although markets outside Europe probably won’t get it. Above it, the line-up should include the ubiquitous 1.5-litre TSI-Evo four-cylinder petrol engine with cylinder deactivation technology, the 1.6-litre TDI four-cylinder diesel engine and the 2.0-litre TDI four-cylinder diesel engine. Skoda will offer a plug-in hybrid powertrain as well, probably the same one that will debut in the facelifted Skoda Superb this year. This plug-in hybrid powertrain, combining a 1.4-litre TSI engine with an electric motor that draws energy from a 13 kWh battery, will deliver a zero-emission range of over 40 miles in the new Skoda Superb. That’s not all, the company may fit the 1.5-litre TSI-Evo engine with a 48V mild-hybrid system. The 2020 Skoda Octavia is unlikely to arrive in India anytime before the first half of 2020.